Chase Freedom Unlimited Now Available Online, Is It The Best Card For Everyday Spending? You can view credit card offers by hovering over the “Credit Cards” tab. You can click on “Top Credit Card Offers“ and then hover over “Card Type” to find card offers from the bank you’re looking for. The new Chase Freedom Unlimited advertises a $150 signup bonus for spending $500 in 3 months, but in reality that comes in the form of 15,000 Chase Ultimate Rewards points. You’ll get an additional 2,500 points for adding a free additional user which will leave you with a total of 18,250 points after spending $500. The real kicker is that although it advertises 1.5% cash back, that too comes in the form of 1.5 points per dollar. When used properly those points are worth far more than 1% each. The beauty of miles is that the sky is the limit (see the end of this post for more on that or see this post for ideas for your miles). I’ve had redemptions where my miles have been worth 50 cents each. 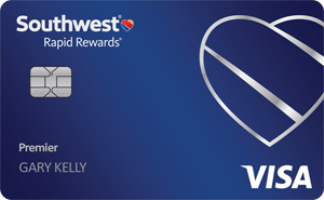 If you’re good at the game, it’s not difficult to get a value of at least 2 cents from your miles, which would mean this card would be worth 3% cash back everywhere for you. That’s tough to beat. If you value them at 1.6 cents each you would be earning 2.4% cash back. Even if you value them at just 1.5 cents each it would still be like getting 2.25% cash back and still beats a 2% cash back card. The only catch is that you, your spouse, or an authorized user on your account must have a Sapphire Preferred or Ink Plus card in order to transfer these points into miles. 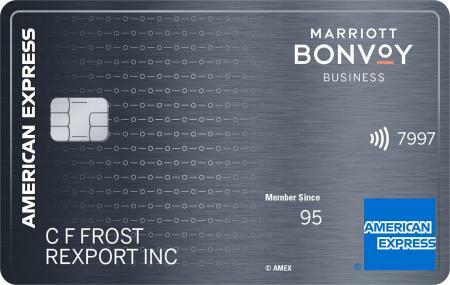 The good news is that you can convert this card into a Sapphire Preferred card and then convert it back. You can also convert your Freedom or Sapphire Preferred card into a Freedom Unlimited card, though you don’t get signup bonuses for card conversions. If you do convert your Freedom card into a Freedom Unlimited card, be sure to first finish the $1,500 in Q2 bonus spending. It can be tough to get cards like Freedom or Sapphire if you have received 5 or more cards in the past 24 months, but exceptions have been made and bankers have been able to help some people with Chase checking accounts appeal a denial. 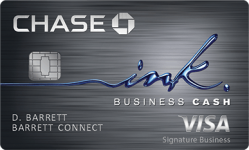 -I always max out the $1,500 of 5x quarterly spending on the Chase Freedom Visa. That’s an easy way to pickup 30K miles per year. Last year it even offered up to 11 points per dollar in December as a special “5th quarter” promotion. It has no annual fee. 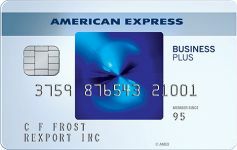 -The Premier Rewards Gold Card from American Express offers 3 points per dollar on airfare and 2 points per dollar on dining, US gas stations, US supermarkets, and Uber. 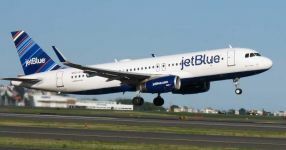 It is free for a year and is $195 afterward, but if comes with a $100 airline fee credit that helps offset that fee. -The Ink Plus card offers 5 points per dollar on office supplies (including hundreds of gift cards sold by office supply stores), cell phone, internet, and telecom bills, and 2 points per dollar on gas and hotels. It has a $95 annual fee. -The Sapphire Preferred offers 2 points per dollar on airfare, car rentals, hotels, and dining, plus it comes with travel insurance and free primary car rental insurance. It’s free for the first year and then has a $95 annual fee. -The Amex EveryDay Preferred Credit Card is one of the best hybrid card offerings because it offers a great value for everyday spending and spending in select categories. If you have 30 transactions per month it offers 4.5 miles per dollar at US supermarkets, 3 points per dollar at US gas stations, 2.5 points per dollar on Uber, and 1.5 points per dollar everywhere else. That’s an excellent all-around card, but it requires discipline to make sure that you reach 30 transactions per month. It has a $95 annual fee. 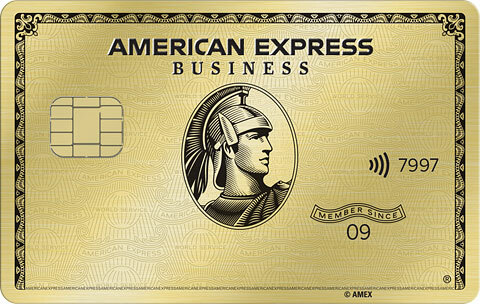 -The Amex EveryDay Credit Card has no annual fee and if you make 20 transactions per month earns 2.4 points per dollar at US supermarkets and Uber, and 1.2 points per dollar elsewhere. 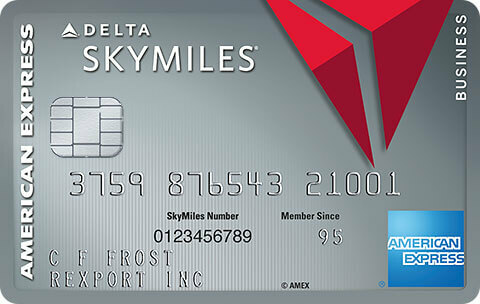 It’s the only no-fee card that allows you to transfer points into miles. -For everyday spending without needing 20 or 30 transactions per month the long-time gold standard has been the Starwood Consumer AMEX and the Starwood Business AMEX. The built-in 25% bonus when transferring points into miles means that you effectively earn 1.25 miles per dollar and Starwood has an awesome array of airlines. Alas transfers from Starwood take a few days and while SPG is safe for now, it won’t be around for more than a couple of years due to Marriott taking it over. And the Starwood card’s only bonus category is for spending money at Starwood hotels. -For my everyday spending I’ve been using a United Club card as that earns 1.5 miles per dollar spent. That card normally has a whopping $450 annual fee, though I only pay $40/year for it as a lifetime club member and a United 1K. 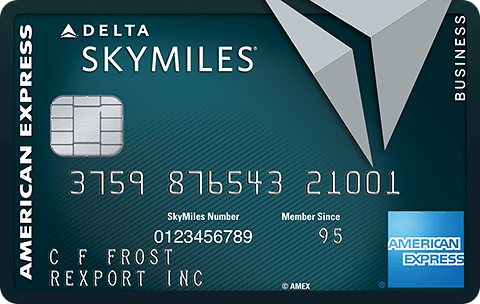 It’s a great card, but the miles are locked into United. So the Freedom Unlimited offers a unique value proposition. It has no annual fee. It doesn’t require that you make a certain number of transactions per month. And it offers 1.5 points per dollar everywhere. Its’ only Achilles heel is that it requires that you, a spouse, or an authorized user on your account has a Sapphire Preferred or Ink Plus in order to transfer its points into hotel points or airline miles. As Chase allows you to upgrade to Sapphire Preferred and downgrade back to Freedom or Freedom Unlimited that’s a not a big deal though. 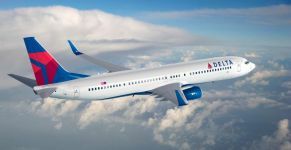 It even has a huge advantage over the $450/year United Club card in that the points can be transferred to Chase’s other excellent airline and hotel partners and aren’t locked into United miles. Will you switch your everyday spending to Freedom Unlimited? 62 Comments On "Chase Freedom Unlimited Now Available Online, Is It The Best Card For Everyday Spending?" What are the “current” Chase rules for a new Chase card, when you have others opened in the last year? Should I rush to apply, or is it likely to have an increased signup bonus anytime in the near (or not so near) future? If the offer goes up within 90 days then Chase will match you to that offer. Dan I already have a chase freedom can apply for a chase freedom unlimited? Wish I could get this card but Chase won’t budge due to 5/24 and I won’t trade in my Freedom or Ink for it…. Try having a banker fill out a special reconsideration form for you if you have a Chase checking account. I was told that the regular Freedom is here to stay. With respect I want to understand why you hardly ever mention the kicker card Capital 1 Spark? For most people who have more miles than we can burn, and selling them would mean a maximum of 1.5 vs. Sparks 2% everywhere. No redeeming, no selling. Of course when paying in select categories like Travel i will use Sapphire, office – Ink, but for everyday swipes it does sound like best for me. Not as good as the new Freedom but still one of the top. NO? 1. Your math is off. If you earn 1.5 points per dollar and a broker pays 1.6 cents per point then that’s 2.4%. 2. Capital one cards require 3 hard pulls vs 1 for other banks. 3. If you travel at all it’s not hard to redeem for 2% or more back. At 1.5 points per dollar that’s 3% or more. 4. Freedom Unlimited has no annual fee, Spark Cash is $59. If you point out to reconsideration or your banker that they are counting AUs then they can make an exception for you. If not, close the AUs and have removed from your report. If i signed up for more than 5 cards in the past 2 years but have less than 5 pulls on my report will i be subject to the 5/24 rule? Would it be on a credit score report? There are some Discover and Capital One cards, but nothing from Chase or AMEX. It’ll be on your credit report. Have your wife add you to her checking account? I switched my regular Freedom to the Freedom unlimited. I also moved over my credit line from my Chase United Club Card to the new Freedom and now that will be my main daily used card. Dan, do applications for business ink card count towards the 5/24 when applying for personal cards? @Dan: I have opened more than 10 cards just in the past year. Should i even try or its not worth the pull? should i go for one card or apply for a few at a time? Just tried to downgrade my CSP to the Unlimited and Chase would not let me. They said it might be because I have not had the card for 1 year yet. My 1 year is in 2 days! @DAN : WHAT ABOUT CITI DOUBLE CASH?? seems like you never wrote about this? everytime you post credit card news it seems as if you have never heard of this card? 2% cash back? no points BS and even the simplest person can just get plain cash back. Probably will be tough to get Freedom or Sapphire like that. 1. If you earn 1.5 points per dollar and a broker pays 1.6 cents per point then thatâ€™s 2.4%. 2. If you travel at all itâ€™s not hard to redeem for 2% or more back. At 1.5 points per dollar thatâ€™s 3% or more. 3. I’ve mentioned it several times. Type in Citi Double Cash in the search bar. Chase Freedom is an excellent no annual fee card thanks to its quarterly 5% categories. While they call it 5% cash back, youâ€™ll really get 5 Ultimate Rewards points per dollar spent which can be worth much more than 5% cash. For $1,500 in spending per quarter you will earn at least 30,000 Ultimate Rewards points over the course of a year (7,500 points per quarter at 5 points per dollar spent). They both have strong advantages, really depends on where you spend your money. @Dan: It’ll be my first card, would they approve me for 2 cards? Whats the best card if i spend 1m a year on credit cards? Depends on the category, but Freedom Unlimited could be a good candidate. Should I convert my freedom card to freedom unlimited? Or keep both? Do you have any real info on this? Will opening two cards at once (or 3) get more than one pull? so if I understand correctly, If you can cash out your ur through this card at 1.5 wont that raise the price of selling to a broker to at least 1.7 (considering all the risks)? How would i dispute a second pull from amex for signing up for both SPG’s the same day? You forgot to mention the $500 bonus you get when you spend $4k (?) in the 1st 3 months. That is a huge plus. 2% back with no hassles etc is convenient. @Danny: Not exactly no annual fee, but the Chase IHG card has a very low annual fee ($49) and you get one free night annually to offset that. Got denied. I kinda knew it would happen, but tried anyways… I have way more than 5/24… more like 12/24…lol. Husband also got denied for Chase Freedom and he only had 5/24. We’re not Chase banking clients and not interested in becoming ones, so we’re okay w/the denials. I do want to know if Chase Freedom will eventually go away. 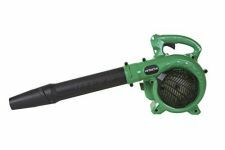 If so, I’ll be looking to convert my single CF into a Freedom Unlimited. I’d rather product change rather than have to shut the card down entirely. It’s interesting that one of the comments mentioned Chase Freedoms will eventually be phased out, but you were told they’re here to stay. I’ve actually heard those two versions from other bloggers as well, so I’m still looking out for info and may swing by a Chase branch and inquire. Is there any sense in getting the Sapphire Preferred card to get the larger signup bonus and then downgrade after you get the bonus to the Unlimited Freedom card so you can avoid the annual fee? Can anyone advise please? You don’t have a Sapphire? If not and you meet the terms you could do that. Does 5/24 also apply to business cards. If I already have 5/24 will chase let me have more business cards ? Clarification, please … Does Freedom Unlimited also give the 5x per quarter on select catgories? If yes, can one double up by using both Freedom and Unlimited? If not, why change a Freedom to an Unlimited? Is it possible to directly transfer UR to southwest, or do you have to do it through Hyatt? Also, if I upgrade this card to a Sapphire, would I be charged the annual fee? You can transfer directly to Southwest. If you upgrade you’ll get billed a fee, though it won’t happen immediately. I’ll stick with my Everyday Preferred. (Un)fortunately, having a nice size family helps me reach 30 transactions a month without any effort… 🙂 and the bonus on gas and grocery is really great. @Dan: Can I upgrade, transfer points,and then downgrade,all without getting charged the fee? If yea, how often can I do that? works in Canada for AMEX? With respect your math is off, 15,000 + 2,500 + 500 = 18,000 & not 18,250. Please let me know if I am wrong. The $1500 spending on a cash basis is limited to just making $75. I just bought $1500 of Jewel store gift card that comes with 5% discount if you go directly to Jewel corporate. 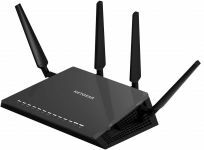 Can the Sapphire (not preferred) be easily converted to the freedom unlimited as well? 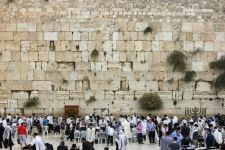 does it give rental car insurance in israel? Isn’t the Barclay arrival world card better than this or at least a really good different every day spending option ? Its rewards are really generous with everyday spending x2 plus many other perks…? If I currently have the Chase Freedom and dont shop much in those specific catagories that give you the quarterly benefits, does it make more sense for me to switch to the new unlimited freedom?